You are currently browsing the daily archive for February 21, 2012. 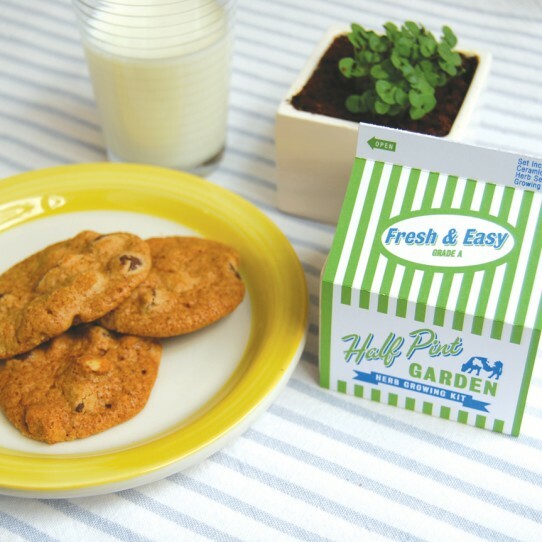 The Half Pint Garden is a herb growing kit cleverly wrapped in a milk carton-like package. 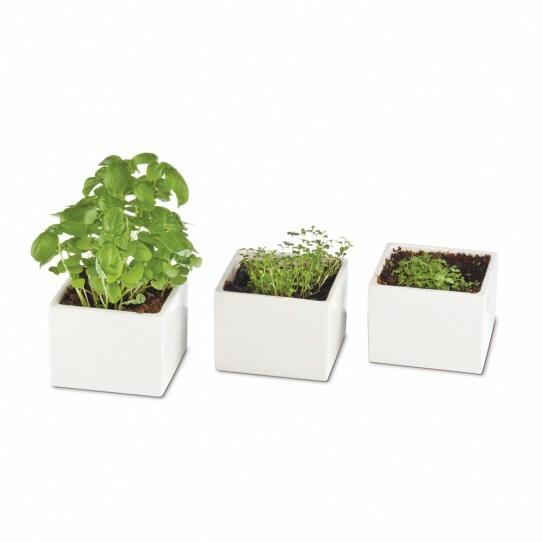 The kit includes a square, white ceramic container, peat pellets and three packs of herb seeds (basil, mint and thyme). 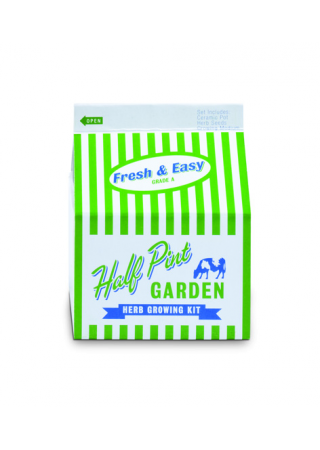 Simply remove package, add water to the peat pellets and sow the seeds. Place on a window sill and watch them grow! How very adorable!